The gift in question is in fact from Magnitone. I'm sure you've heard of the brand once or twice before. If you're not familiar with Magnitone then let me give you the lowdown. They are mainly popular for their best selling cleansing and toning brushes, but they also sell some other great products such as a pedicure system, a cleansing cloth and more. 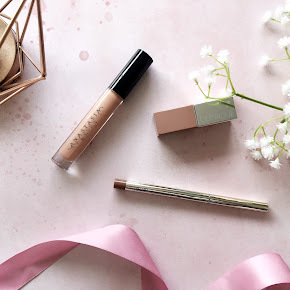 If you've been a regular reader of mine for a while then you'll know that my skin has been rather problematic for a while, and whilst I've tried some great products over the years, my skin has never completely been clear. I've struggled with acne-prone skin since my teens and it used to really affect my confidence. I have tried so many over the counter creams, prescriptions, and even the biggie, Roaccutane, and nothing completely cleared my skin. I used to over complicate my skin routine with many different products too, which probably played a major part in my skin going downhill. However, since then I have stuck to a simple four step skincare routine, consisting of a cleanser, toner, spot treatment and moisturiser. 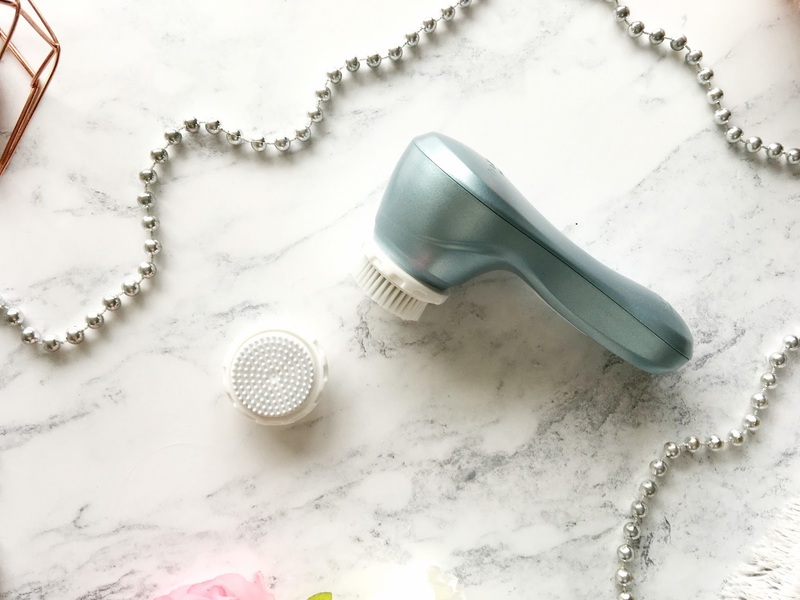 One thing I have always wanted to add into my skincare routine is a cleansing brush. 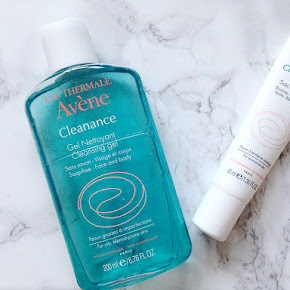 I had heard such good things about them and so I wanted to see if it made any difference to my skin. Thankfully, I have now had the chance to try one for myself, thanks to Magnitone. I have the Barefaced Vibra-Sonic Shimmer Facial Cleansing Brush, which as I mentioned is Limited Edition for Christmas. There is two different colours available within the Shimmer Collection, Rose Gold or Serenity Blue, which I have. It's such a beautiful colour. 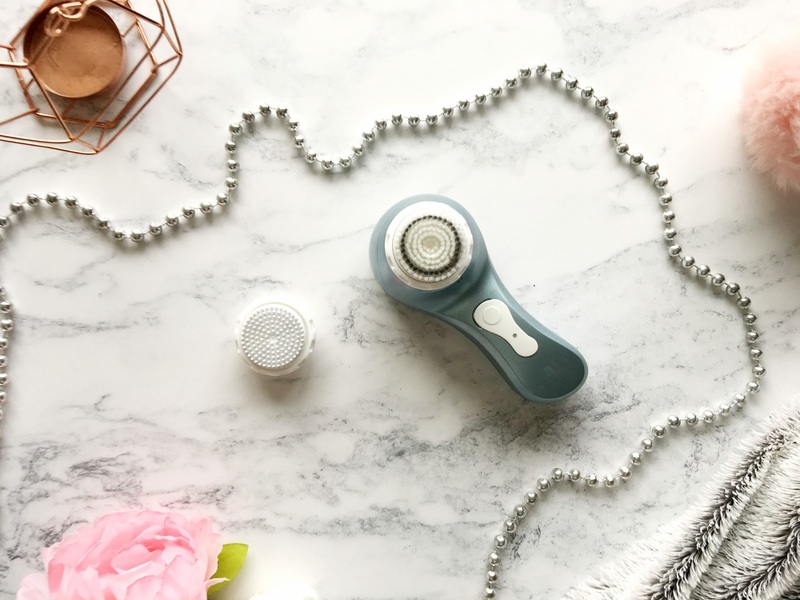 The Vibra-Sonic Facial Cleansing Brush is designed to not only cleanse the skin of makeup, oil, dead skin and impurities, but it also tones too so it does two jobs as well as one. 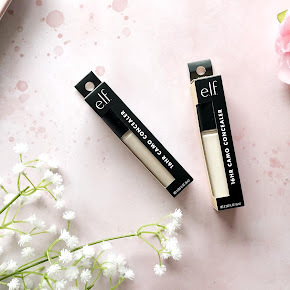 It comes with two brush heads, the Active Clean Head, which is extremely soft and dedicated towards purifying your skin of all the impurities under the surface of the skin. There is also the Stimulator brush head too which ensures that any skincare you apply is easily absorbed into the skin without clogging the pores. Also inside the box you'll find a wireless usb charger which you can simply plug into most devices such as a phone charger or computer. As well as that, there is a travel bag which fits everything in, and makes it easier to travel with, should you wish to take it on holiday with you. They have really thought of everything! I have found it to be so simple and easy to use, which is one of the things I love the most about it. To switch brush heads, all you have to do is turn the brush head clockwise(with the protective cap on) and pull lightly to remove, and vice versa to apply a new one. There are two different settings to choose from too. Press the on button on the front once for cleansing, and twice for toning. 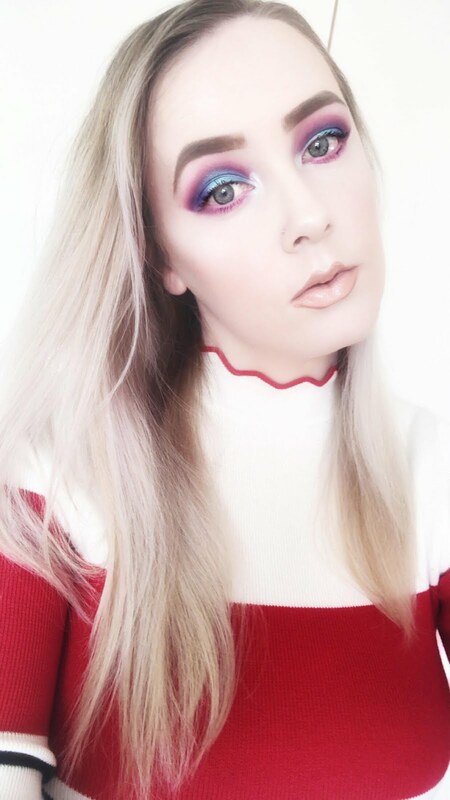 The feature that I am most excited by is the timer, which gives you the correct amount of time(20 seconds) to spend on different areas of the face. When the 20 seconds is over it does a beeping sound to alert you as to when you should move onto the next part of the face. It's such a clever idea as it stops you from over cleansing the skin, preventing you from stripping your skin of its natural oils. I have really enjoyed trying out this cleansing brush. It's so gentle on my skin and it has made an impact in my skincare routine already. My complexion looks visibly brighter and it feels much more softer and smoother too. It also feels a lot more fresher and cleaner too which as you can imagine is such a lovely feeling. 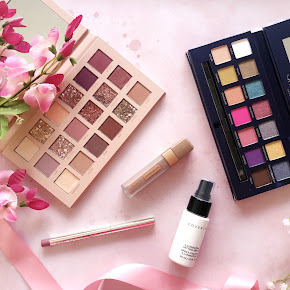 I really think this is the perfect gifting idea for someone that is quite the skincare enthusiast. You never know, it might just change the way they feel about their skin completely. 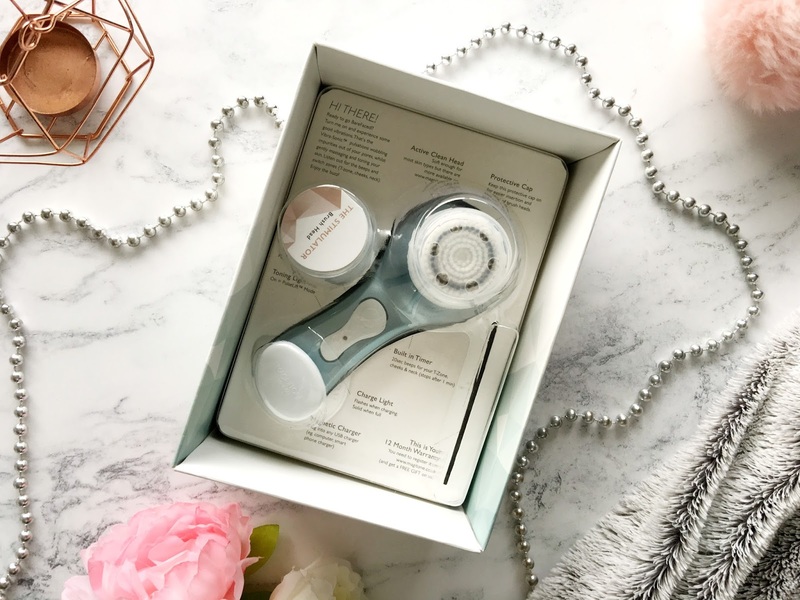 You can purchase this Limited Edition Cleansing brush directly from Magnitone and many other retailers such as Look Fantastic, Boots, Argos, Amazon. There is currently a discount of 44% in the leadup to Christmas too which means you'll be able to pick it up for just £49.99 instead of the usual £90 too. Isn't that a bargain? 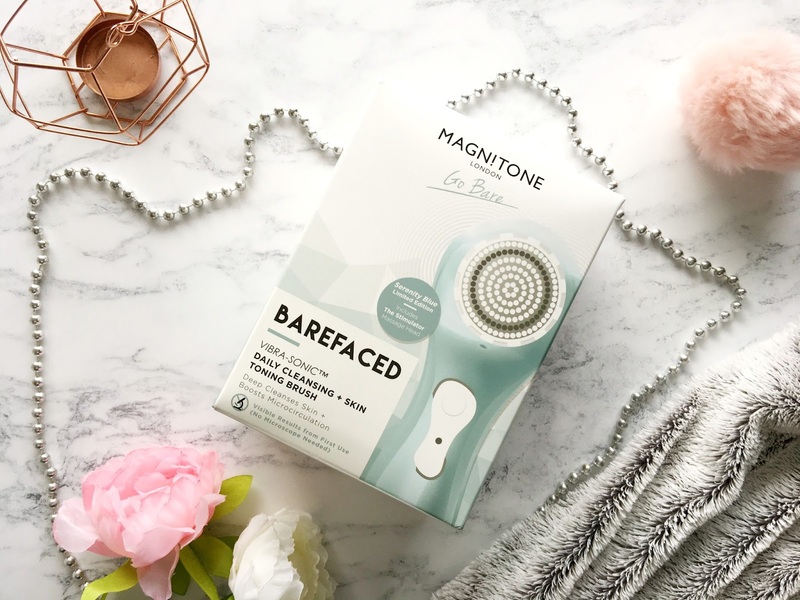 Have you tried the Magnitone Vibra-Sonic Facial Cleansing Brush?